For additional information about this book, visit the website brinebook.com. Ishmael Morgan was six years old when her mother—a long-distance swimmer—disappeared into the ocean. To comfort her, Ishmael’s father told her that her mother didn’t die but simply swam off into the sunset as a mermaid. Ishmael hadn’t thought much of that tender lie until early one morning—while speeding down a Mexican highway after a fight with her fiancé—her truck plunged off a cliff. But Ishmael doesn’t die: she is rescued. When Ishmael awakens, her memories post-accident are of impossible things. She’s sure they must be hallucinations; since she seems to remember watching her own legs turn into a tail. Testing her theory—while putting off returning to her old life, including her cancelled wedding—Ishmael dives into the mystery of her new life—both literally and figuratively. What if her father’s stories about her mother weren’t just stories he told to ease her grief? Could she really transform into a mermaid at will? Seeking answers to her past, as well as her future, Ishmael begins a trek across land and sea into a life she hasn’t even begun to imagine. 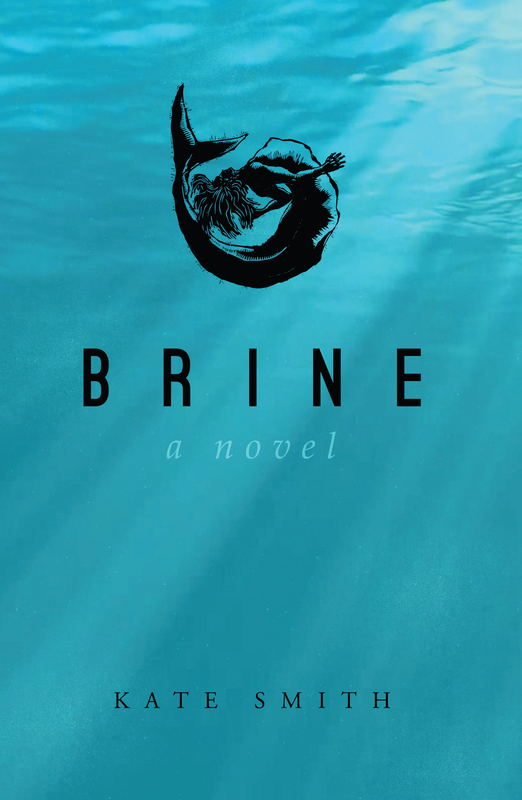 A quest grounded in the powerful reality of “What if?,” Brine is not merely an imaginative mermaid tale. It is a fantastical story of longing, love, and the call of the ocean. Author Kate Smith was born and raised in Charleston, South Carolina and has spent a significant portion of her adult life living on the West Coast. She now resides in the Deep South on the shores of the Atlantic Ocean with her boat captain husband and their two water-loving, brown dogs. She owns a yoga studio named after Mother Earth.